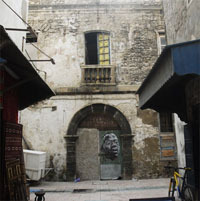 Today, the old walled medina is threatened by processes which have been set in motion by both natural and anthropogenic causes. 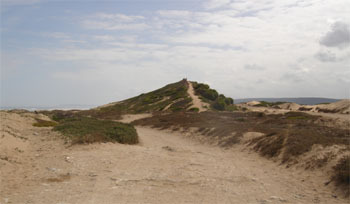 Salt-water intrusion, land subsidence, coastal erosion and overexploitation of water resources contribute in particular to the degradation of the urban context. 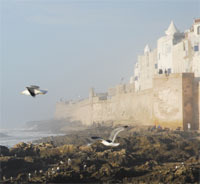 Protection of the surroundings of Essaouira's ecosystem is a condition for its survival. Source: Urban Development and Freshwater Resources. UNESCO, 1996. 6. Rehabilitation of the three historical monuments of the city (Danish Consulate and the two Scalas of the port). 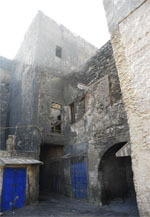 The historical monuments of Essaouira are marked by a rather original architecture. It combines the Arab-Muslim art in European architecture of the Renaissance. 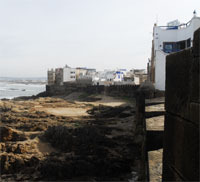 In addition, Essaouira is the only Moroccan medina, where streets are straight and intersect at right angles.